Personalized Cube Notepads -Paper Cubes, Custom Printed in Full Color. Promotional, Inexpensive. Budget Prices in America. Free sheet imprint for quantities of 250 or more! 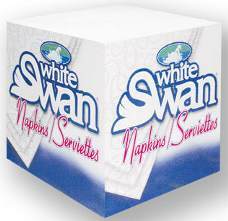 Bulk personalized paper cubes with unlimited number of imprint colors, including photos. 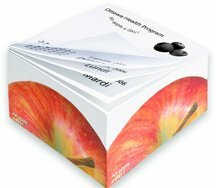 Budget Prices in USA and Canada for bulk photo paper cubes. American clients pay no taxes. Free artwork design. We will send you a proof for your approval before production. Prices below include your full color custom imprint on all 4 sides of the paper cube. Please E-mail or call us for quotations on other sizes. For recycled paper add 10% per unit, it must be requested. Production Time: 7-10 days after art approval. 3-day Rush Production is available at extra cost: contact us. Full color imprint on all four sides; you may imprint 4 different designs. Free 1-2 color sheet imprint for quantitiy of 250 or more. Full color sheet imprint, only on XX11-4C and XX5-4C : add $0.50 per cube. Number of sheets: about. 200 per inch. Optional Wood Pallet: add $0.98 per cube, no matter the size.